This is a special event for PTMSC members only. We will be opening the doors to members only for Eleanora's enrichment session. 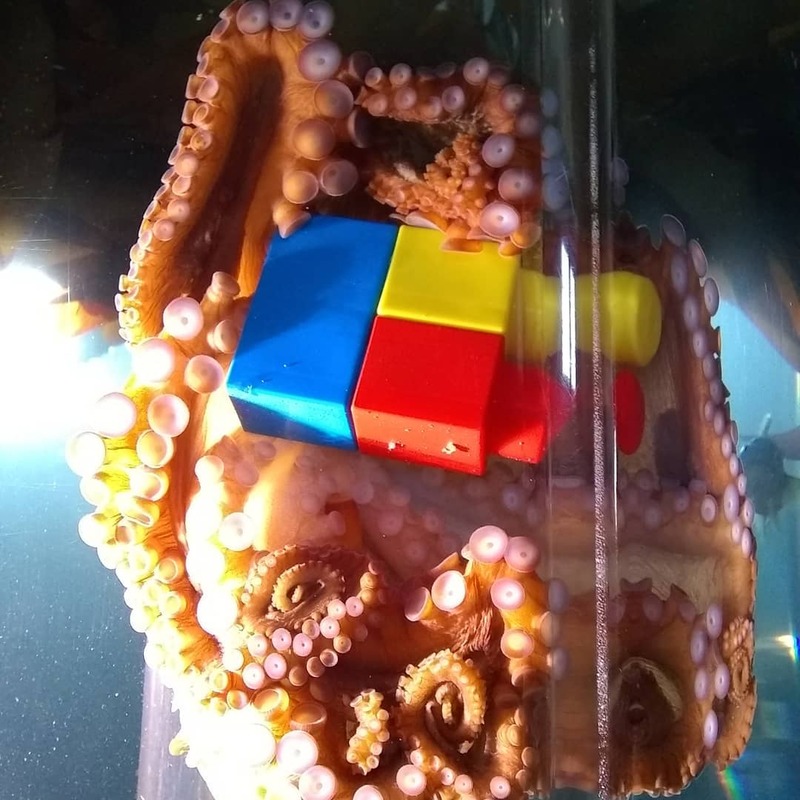 The Giant Pacific Octopus will be presented with several feeding puzzles or toys with Aquarist, Ali Redman, on hand to answer questions. Some days Eleanora is excited to explore her toys and stretch her skills. On others, she'd prefer to stay in her cave. It's possible that she will not be active on the day of the Open House. Attendees will be emailed earlier in the day with an estimation of her eagerness to show off.